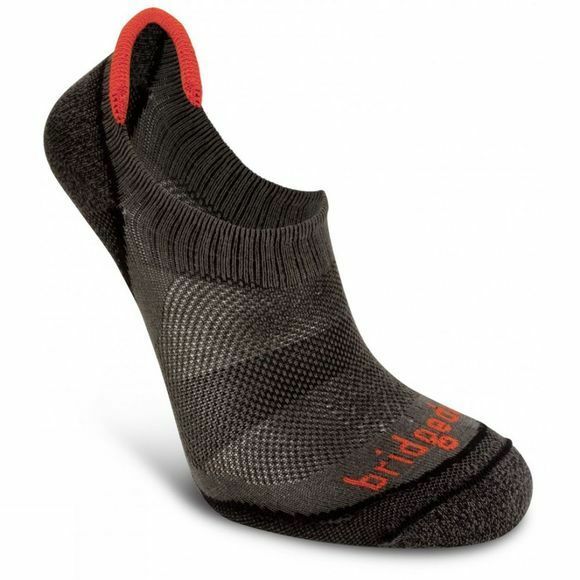 The Na-Kd Socks from Bridgedale have cool comfort, Lo cut and are no-show. Highly versatile, from running and aerobic activities to everyday use with your trainers. SlingShot heel fit and elasticated construction for stay put comfort. High-performance microfibres create a cooling and fast wicking overfoot mesh.